Discover ACDSee Pro Photo Manager, the most powerful software platform for viewing, processing, editing, organizing and publishing your photos. 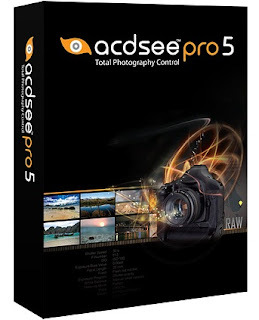 ACDSee Pro is a single platform where professional photographers view, process, edit, organize, catalog, publish and archive their growing digital photo collections. With the flexibility and control offered by ACDSee Pro 4, you can manage your images the way that works best for you. No need to adapt your workflow to fit the cookie-cutter cataloging imposed by other photo applications. ACDSee Pro is built to help you save time in all the key steps of your workflow. Each of the four modes - Manage, View, Process, Online – groups the tools that you commonly use during that particular step of your workflow. ACDSee Pro empowers you to view, process, edit, organize, catalog, publish, and archive your photo collections with precision and control. View your RAW images with lightning-fast image previews and support for most RAW formats from DSLR cameras. Get support for IPTC core fields with XMP. Shift time stamps on multiple images at once. Compare up to four images side by side. A new user-controlled edge detection mask slider lets you focus the sharpening effect more to edges and textures than non-textured areas. Take your photos to the edge in either Develop or Edit mode using split-toning to create sepia or tinted black & white, Or add a tinted color to highlights and another to shadows to create a dramatic toning effect. Target shadows, midtones or highlights for lightening or darkening with the Dodge and Burn tool, or selectively add vibrance, saturate or desaturate areas of interest. Save a group of photos to your specifications faster than ever with the updated ACDSee Pro 5 Batch Export tool. The batch export tool allows you to easily create presets for exporting easily exporting groups of files to specified folders, file names, formats, color spaces and dimensions.